Betty Louise Davis Atkinson, 79, passed away on Sunday, May 21st, 2017 at SSM Health Good Samaritan Hospital in Mt. Vernon, IL. She had been battling Diabetes for a long time. She was born in Peoria, IL on May 2nd, 1938 to Harry & Edna McKeel. She married Jake Davis in 1957 and then moved to Wayne County in 1965. They had 6 children together. She later married Dellas Atkinson in 1977, who preceded her in death in 1995. She spent her life raising her children and also worked as a Nurse’s Aide and a Home Care Aide in Fairfield, IL until she retired in 1999. She loved people and life. 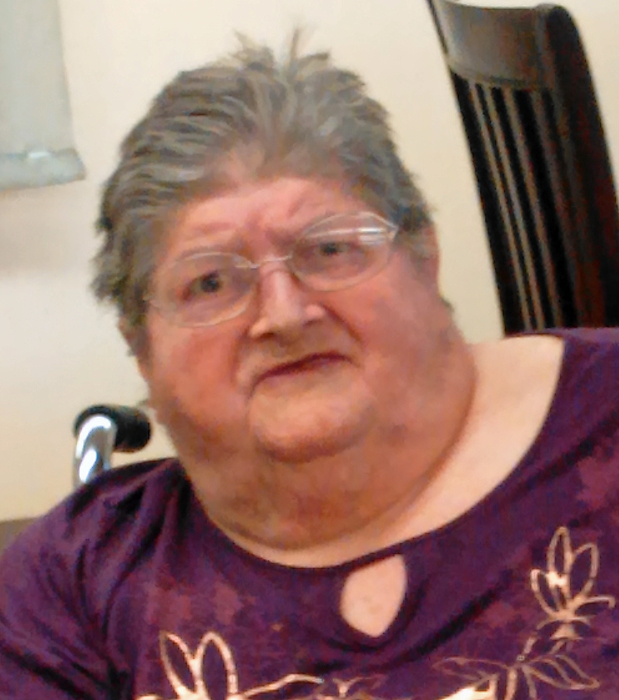 She had lived at Way-Fair Nursing Home in Fairfield, IL until recently moving to Carmi Manor in Carmi, IL. She loved to play bingo and listen to gospel music. She is survived by a son Ronnie (Sylvia) Davis of Fairfield, IL; 3 daughters: Janice (Ronald) Hutson of Mulberry, KS; Debbie Davis of Fairfield, IL and Joyce Hogan of Wayne City, IL; a half-sister Marie Brooks of Pekin, IL; 13 grandchildren, 18 great grandchildren, and several nieces and nephews also survive. She was preceded in death by both parents, her husband Dellas Atkinson, a daughter Joann Davis, a son Bob Davis, 2 brothers: David & Jerry Session, and 2 grandsons: Gunnar Walker & Hayden Brown. There will be no formal services, but there will be a private family gathering held at a later date. Memorial donations may be made to the family, which will be used towards the purchase of a monument. Donations will be accepted at the Young Funeral Home in Wayne City, IL which is assisting the family with the arrangements.